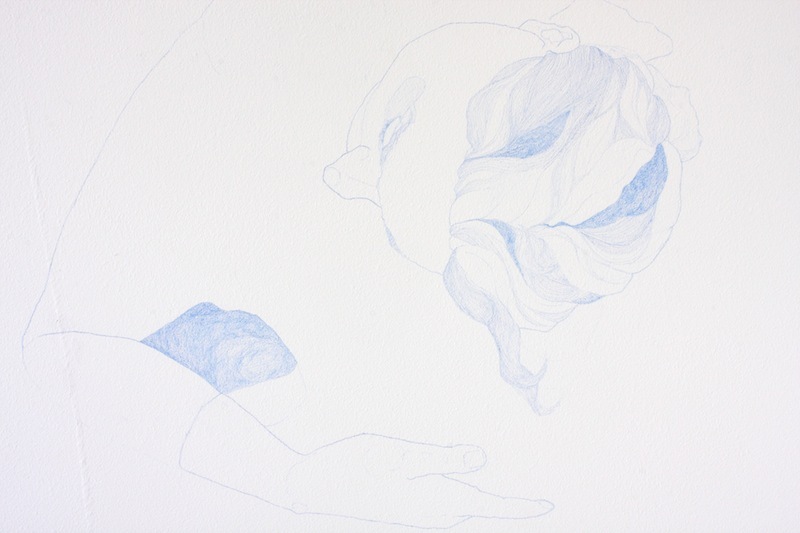 Through the combined practice of life drawing and story telling, Eleanor Phillips’ practice steps outside of the realms of human physicality to explore alternative ways of leaving this world. In working with the traditional practice of drawing the figure from life, the work reflects on the physicality and presence of a human being, and through the erasure and fragmentation of the figure, the resolve of this physical state becomes unhinged. The writing of short stories provides further ground in which to defy the limits of human corporeality and allows for impossible gestures to be imagined. The pairing of life drawing and story writing creates an open narrative between the two, neither practice explicitly describing the other, but rather working in unison to reflect a collective thought. 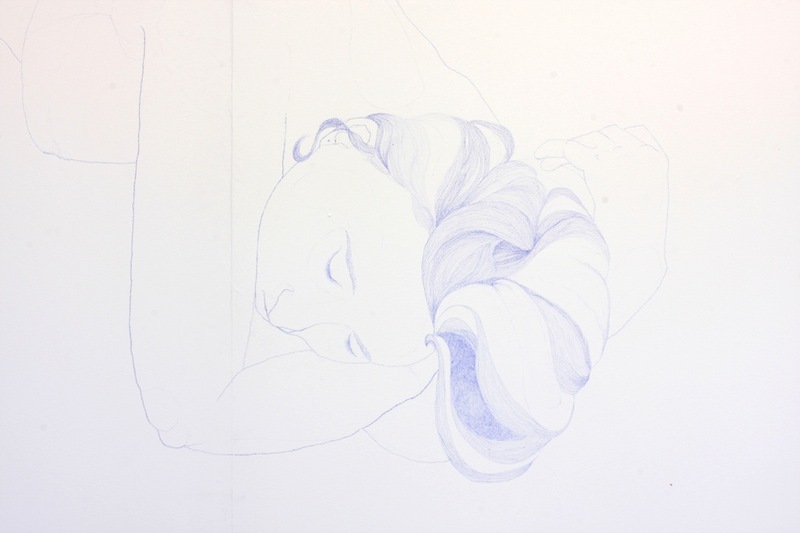 Eleanor Phillips is a Cork based artist, she studied her BA in Fine Art in Crawford College of Art in 2012, and completed the BA (Hons) (Printmaking) in Galway’s Creative Centre of Art and Media in 2013.